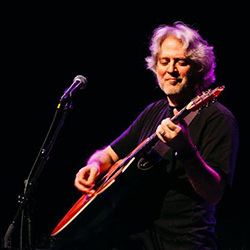 American Singer/Songwriter Dean Friedman, who some will remember for his 1978 hit single “Lucky Stars” and his 1977 album ‘”Well, well” said the Rocking Chair’, is coming to Kingston on Thursday 29 September 2016. He will be performing at Kingston Country Courtyard from 8pm. Tickets, which cost £26.75 plus a ‘per transaction’ delivery fee, are available only through ticketweb. Following the sell-out success of the last two concerts in St James Church by folk duo Ninebarrow and by the Ridgeway Singers & Band, three more concerts are already booked for the first few months of the New Year. First arrivals in February are the Imperial College String Ensemble who are coming from their London base for a weekend workshop in Purbeck culminating in an afternoon concert in Kingston on Sunday, 14 February, starting at 3pm. Since its formation in 2004, the ensemble, or ICSE for short, has established an enviable reputation for quality with concerts in London and on tour, many of them for charity. March sees the much-anticipated return of The Hermitage Ensemble from St Petersburg who are due to perform on Thursday, 31 March at 7.30pm. They created quite a stir on their last visit here three years ago, attracting a capacity audience to hear their interpretations of Russian sacred music and folk song steeped in the inimitable Russian choral tradition. For both these concerts, admission will be free but there will be a retiring collection to help preserve the Grade 1-listed St James Church with its fine acoustic. Interval refreshments will be served. The third concert, which will be ticketed, will be given on Friday, 22 April at 7.30pm by Northern Harmony, an acclaimed vocal ensemble from the USA who will be on tour here under the auspices of Artsreach. Audiences will be treated to harmony singing in various traditional styles from Georgian to Gospel, a repertoire developed by the group over the many years since its first incarnation in 1993. Ninebarrow, the award-winning Dorset-based folk duo, Jon Witley and Jay Labouchadiere, who have been captivating audiences all over the country with their innovative take on folk music, are coming to St James Church, Kingston, on Saturday, October 31. “We’ve been looking for the right opportunity to put on a concert in St James ever since we recorded one of the tracks for our debut album there last year,” says Jon Witley. “It’s got acoustics to die for. Doors will open at 7pm on Saturday, 31 October, and the music will start at 7.30pm. Drinks will be served from seven and in the interval in return for donations to help preserve this unique Grade 1-listed church. Tickets costing £9 plus a booking fee of 90p can be obtained online or at a cost of £11 on the door. On Sunday afternoon, 29 November, the Church plays host to a West Gallery Carol Concert, a programme of carols, folksongs, dance tunes and stories from South Dorset led by folksinger and actor Tim Laycock and Mellstock Band serpent player Phil Humphries. The group was formed by Artsreach three years ago to explore the musical heritage of the South Dorset Ridgeway area and surrounding communities. Hence the repertoire includes Thomas Hardy’s Old Bockhampton Carols such as ‘Remember Adam’s Fall’ and ‘Rejoice, Ye Tenants of the Earth’as well as ‘The Mariner’s Hornpipe’ and Hardy’s favourite fiddle tune ‘Enrico’. Tickets for the concert, which starts at 4pm, cost £7.50 or £5 for under-18s and can be bought from the box office on 07720 784269 or from the Village Shop in Langton Matravers. As the concert heralds the onset of Christmas, mulled wine and mince pies will be served in return for donations towards the upkeep of the historic St James Church. There are still a few tickets remaining for this month’s Coffee Concert in St James Church being given by Natalie Clein and Friends as part of her Purbeck Chamber Music Festival, the first of three concerts in the church over the next three months. At the concert, on Sunday, September 6, at 12.30, she will play Bach’s second Cello Suite in D minor and make up a string quartet with friends to play music by Erwin Schulhoff.Coffee and biscuits will be served from noon. Tickets at £16 (students £2) can be bought via the Festival website, purbeck-chambermusic.org.uk, Wareham Tourist Information Centre or from the box office on 0333 666 3366. October’s concert brings a very different kind of music to St James in the shape of Ninebarrow, the award-winning Dorset-based folk duo, Jon Witley and Jay Labouchadiere. The pair has rapidly earned an enviable reputation for their original songs as well as for their distinctive take on traditional material and are now in demand all over the country. Ever since experiencing the exceptional acoustic of the church, they have wanted to return to give a full-blown concert there and have now found a date, namely Saturday, 31 October. The concert will begin at 7.30pm but the doors will be open from 7pm for drinks. Tickets costing £9 can be obtained via the www.ninebarrow.co.ukwebsite, or at a cost of £11 on the door. The season of concerts in St James’ Church got off to a cracking start just over a month ago with The Hermitage Ensemble, four Russian singers from St Petersburg whose impending arrival excited a lot of local interest. On the night the audience began arriving over an hour before the start. Every seat was filled and for latecomers it was standing room only. The 200-strong audience was then treated to an awe-inspiring demonstration of a cappella singing in the great Russian tradition. The rest of the season features a mix of singers and instrumentalists closer to home. First up, on Sunday, 30 June, is Christchurch Priory Choir in a programme of choral music by Bach, Schubert, Bruckner, Rutter and others interspersed with organ solos. On Saturday, 27 July, another Dorset choir, The Occasional Singers from Dorchester, make a return visit to St James’, this time under the direction of Richard Hall. They will be taking their audience on a musical journey from Tudor to modern times. Sunday, 6 October, brings the return of the internationally renowned cellist Natalie Clein and Friends for a coffee concert in what is becoming an eagerly anticipated annual pilgrimage to St James’, and the final concert on Friday, 8 November, sees Sherborne Girls School make their Kingston debut. A rare opportunity to hear Russian Orthodox Church music and Russian folk song authentically performed by professional Russian singers is on offer in St James Church, Kingston, on Monday, 29 April. Supplying this true taste of Russia in the first concert of Kingston’s six-concert season will be The Hermitage Ensemble from St Petersburg, a group of five singers trained in that city’s conservatoires and steeped in the hallowed traditions of Russian church and folk music. Equally at home as individuals in the opera houses and concert halls of their home city as in its churches and cathedrals, they came together as an ensemble with the aim of researching, performing and preserving their rich musical heritage. So, singing unaccompanied, they will be devoting the first half of their programme to their favourite Russian sacred music and the second, lighter half, to some of the best-loved Russian folk songs. Though only five in number, a basso profundo, a lyric baritone, two tenors and an alto, they punch well above their weight. As one admirer put it: “They sound like a Slavic barber quartet one minute and the massed ranks of the Red Choir the next.” They should revel in the exceptional acoustic of Kingston church. There is no charge for admission but there is a retiring collection to help cover costs and contribute towards the preservation of the church. Refreshments will be served in the interval.